Music lovers have Clockenflap, the foodies have TASTE of Hong Kong, and fitness fanatics flock to IRIS: Your Escape. 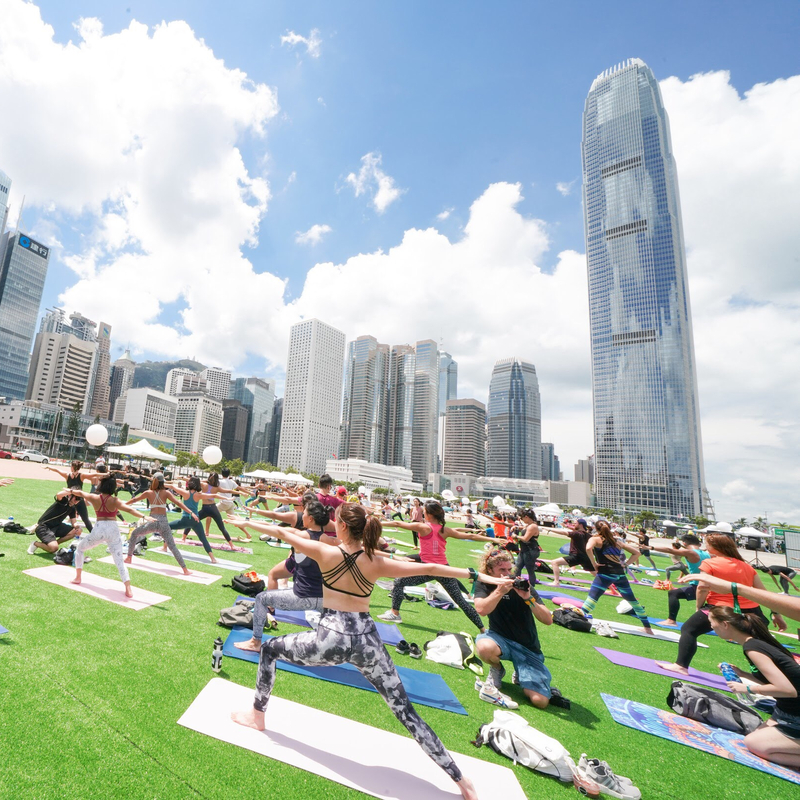 The weekend-long wellness festival is a staple of the Hong Kong calendar for those who love a good sweat session, and it’s easy to see why. IRIS: Your Escape brings over 80 of the city’s top fitness stars and instructors together at Central Harbourfront, for two day of non-stop action and the best workouts in town. If the idea of a wellness weekend has you running (in the opposite direction, that is), have no fear. IRIS works hard to be an inclusive space for people to move, and have fun doing it. From yoga, to art, dancing to trampolining, there’s something for everyone here to have fun and get fit. For their eighth instalment, IRIS has seven distinct ‘zones’ which can you can explore at your own speed. There’s yoga on the Mainstage, meditation in the Zen Garden, fitness classes in the Fit District, dances and workshops at the Silent Disco, forums and demonstrations over at Iris Insider, a family area at The Playground and a Marketplace to find healthy food options and wellness-related goodies. And yes, your furry four-legged friends are welcome to take part, so it truly is a weekend for the whole family. IRIS knows that wellness isn’t a one-dimensional thing. Just because you can run a marathon doesn’t mean you can quiet your mind, or have full range of motion in your muscles. That’s why they offer so many different types of exciting classes, to help you round out your own personal routine. Even the world’s greatest athletes will tell you that cross-training is key, so spice up your routine with something new, like sunset yoga or a gong meditation. Tickets are going fast, so book yours early so you don’t miss out! And you can enjoy 10% off discount using the promo code "LKF10"! IRIS: Your Escape returns to Central Harbourfront 27 -28 April, 2019. Tickets start at HK$280 and are available now through Juven. Children 12 years and below enjoy free entry, and IRIS participants have a limited gift offer from Calzedonia SS19 collection while supplies last. For more information, see here.